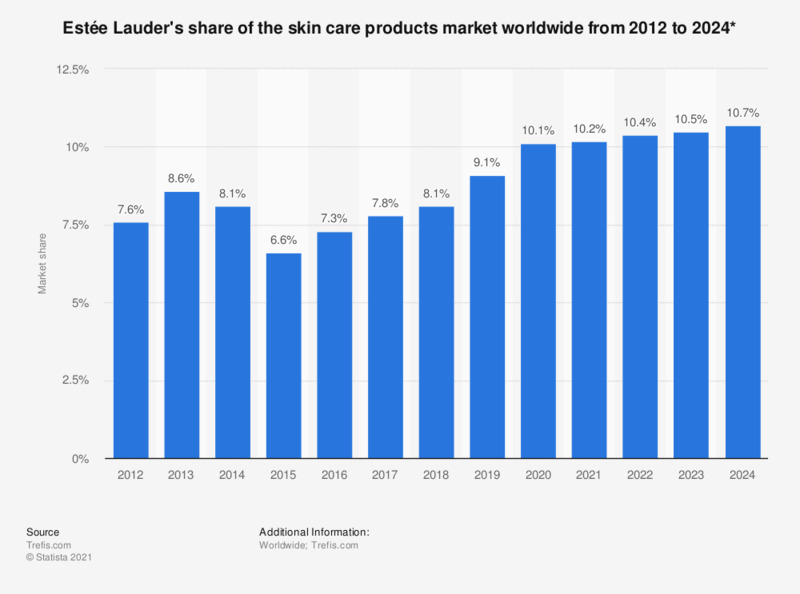 This statistic shows Estée Lauder's share of the skin care products market worldwide from 2012 to 2024. In 2017, Estée Lauder's share of the global skin care products market is estimated to be 7.8 percent. The company is a manufacturer and marketer of prestige skin care, makeup, fragrance and hair care products, with global net sales of over 11.2 billion U.S. dollars. * Figures have been estimated by the Trefis Team. Everything On "Estée Lauder" in One Document: Edited and Divided into Handy Chapters. Including Detailed References.